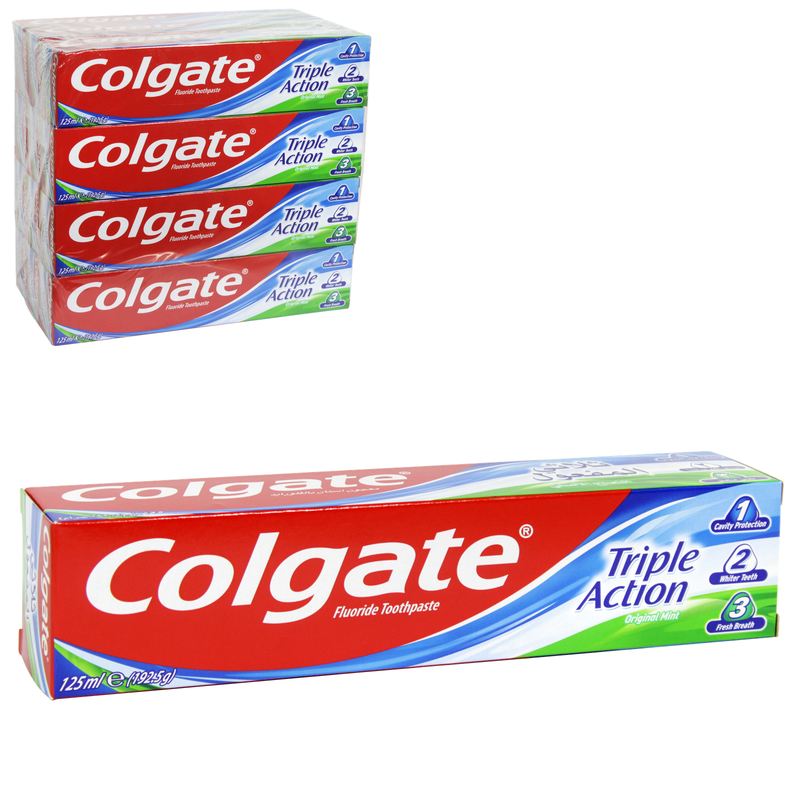 Colgate Triple Action Original Mint Toothpaste Colgate Triple Action Original Mint Toothpaste provides cavity protection, fresh breath and also helps to whiten teeth:Cavity Protection: Contains fluoride to help protect against cavities. White Teeth: Helps remove surface stains for whiter teeth. Fresh Breath: Great mint taste for fresh breath.